Chenin Blanc never seems to get the love it deserves here in Ireland, forever being passed over for that other “Blanc”. Maybe it’s because the wines aren’t as well known- Savennières and Vouvray don’t always jump to the mind as quickly as Sancerre and Pouilly Fume. It could be that it’s new world equivalent is often very underwhelming- let’s face it, South African Chenin Blanc cannot hold a candle to New Zealand Sauvignon Blanc. But more likely it is because of the wines themselves. These are not easy wines. They can be difficult to appreciate, often austere in their youth. They age wonderfully, but frequently enter a ‘teenage’ period – inexpressive and dumb- giving little indication of the wonders that will develop in future years, and wines encountered during these periods can often be misunderstood. 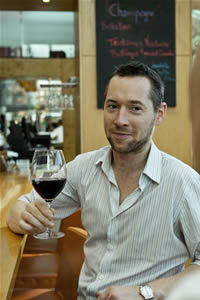 Chenin Blanc takes time- not necessarily time in bottle, as young Chenin Blanc can be superb- but time to get to know. And, like all things that require time to appreciate, when you finally fall under its charms, the rewards are ten-fold. Montlouis ‘Mineral+’ is served by the glass in ely wine bar, ely place. ely wines for the summer- drink something different this year! This ancient grape is from the Irpinian hills in Campagne, the region around Naples..It is pronounced “falangeena”, with a hard “g” – and it is a perfect summer wine, light enough for lunch, fresh enough to drink in the garden and tangy enough to sip with food. Naturally, given its origin, it works well with tomato-heavy Neapolitan dishes: spaghetti with cherry tomatoes, garlic and herbs; or tomatoes baked with marjoram, parsley and breadcrumbs. But it’s equally good with fish, too: scallops fried until they just begin to caramelise,fresh, squid with lemon juice squeezed over it, blackened on the barbecue and tangled up with rocket, chargrilled seabass with capers, parsley and lemon…. As a wine, it manages to combine defined flavour- often orange peel- with a remarkable freshness that singles it out as a perfect all-rounder. Falanghina is becoming increasingly widely available in both restaurants and good wine shops. Now all we need is the summer! 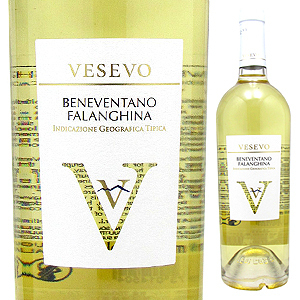 Try for yourself.. Vesevo Beneventano Falanghina 2011 is available by the glass in all three ely restaurants.